Srikanth: This is an absolutely brilliant and profound essay on my favorite film of the new millennium, one I have defended beyond what any rational person could for a single film. Haynes has a sharp ear for small town-gossip, and how prejudice rears it’s ugly head in places such as art galleries (the setting of one of the film’s best scenes), and taverns, luncheonettes and paranoia-inflicted streets, where late in the film the black man is challenged in public for “laying his hands” on a white woman. He also has a sharp eye for this seemingly sedate period, set in golden autumn hues with deep reds, browns and yellows that create a New England utopia bathed in melancholia, all accomplished by shooting the film in New Jersey. 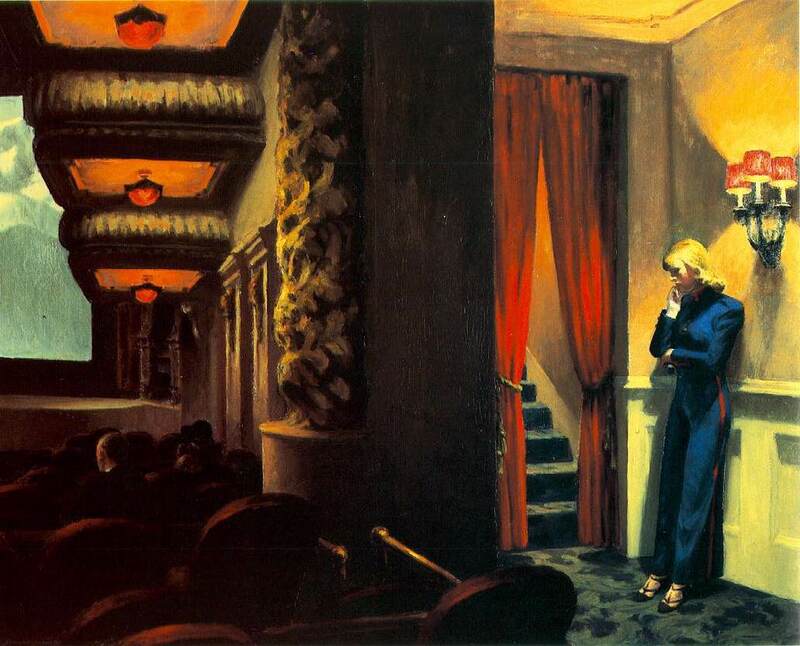 Haynes’s erstwhile protege, was long noted for his ostentatious painterly visuals, achieved in studios. 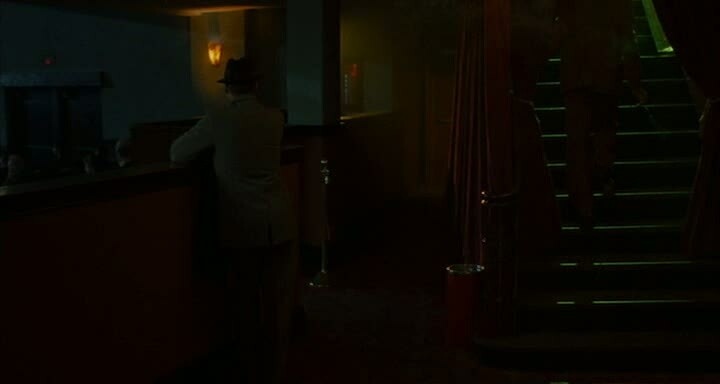 A major key to the ravishing look of the film is due to the use of light and saturation, and cinematographer Edward Lachman captures the right textures that fully recall and provide a homage to the 50′s melodramas it echoes. The color-coordination of the living rooms, dresses and outside landscapes and manicured front lawns is radiant and transporting, and the cars, train stations and street perfectly recreate a time and place that has vanished forever. There are many thematic and artistic nods to Haynes’s hero, and they include Frank’s similarity to Robert Stack’s (impotent) millionaire in Written on the Wind and the psychiatrist in Far From Heaven recalling a bow-tie wearing guru in Magnificent Obsession. But of course as you note Srikanth, All That Heaven Allows is the prime inspiration for both plot and theme, and the parallels are abundant. 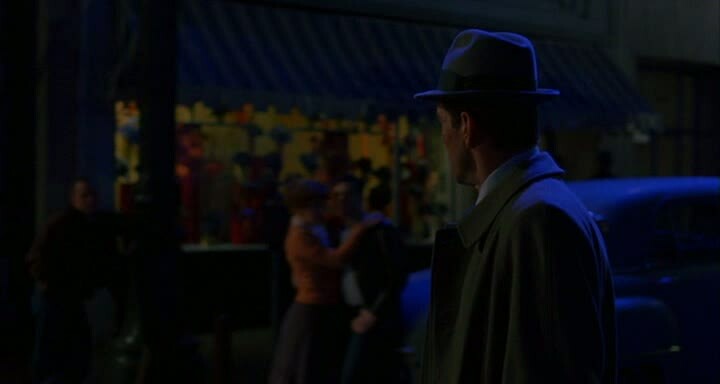 In Sirk and in Far From Heaven there is that recurring theme of a character being trapped in his or her environment and being helpless to change it or escape from it. This issue in Haynes’s film is so overwhelmingly emotional that it raises the bar for on-screen weeping. When Cathy visits Raymond (the gardener) as he prepares to leave this under-the-surface hotbed of seething resentment, you know that in this society at this time that there could never be any kind of consummation, yet you feel the wrenching tragedy of it all, as there was a genuine connection between the two, not forged by any kind of intellectual camaraderie, but by the sense of security and release that their prior meetings had brought them. Moore’s grief is palpable, but it underscores her hopelessness. 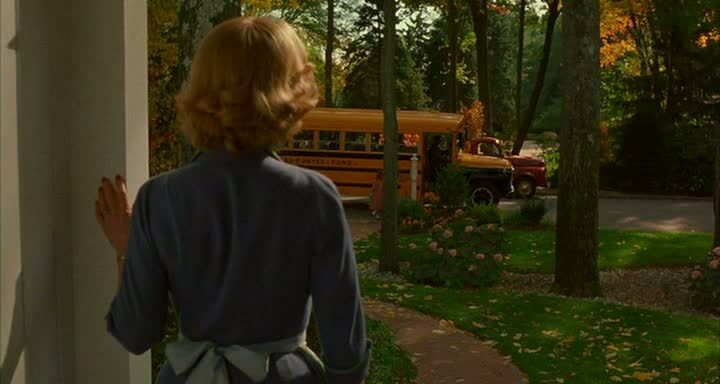 The train departure at the end, is one of the most moving scenes in all of contemporary cinema, and in the tradition of Sirk it a two-handkerchief weepie. One of the film’s most magnificent components is composer Elmer Bernstein, who may well have written his greatest score in a long and varied career with this lyrical rush of suburban angst, tinged with all the elements Haynes transcribed from Sirk. The lilting piano chords, the sudden burst of sweeping melody, and the slow, introspective chord lines tinged with false hope and sadness are the essence of one of the truly great film scores of the past two decades, a score that works as a stand-alone, as well as the emotional core of a film that relies heavily on mood and atmosphere to define the nature of it’s character’s psychological state. His lead theme “Autumn in Connecticut” flawlessly encapsulates the nature of this film, with its enrapturing cadences, sense of longing and ominous foreboding. Music plays a huge role in this film both in its efforts at essaying Sirk as well as accentuating the themes and characters’s state of mind. 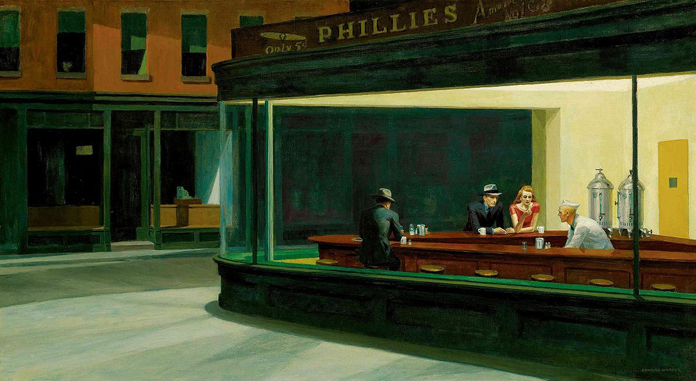 As part of the overall artistry it’s presence here is impossible to downplay. 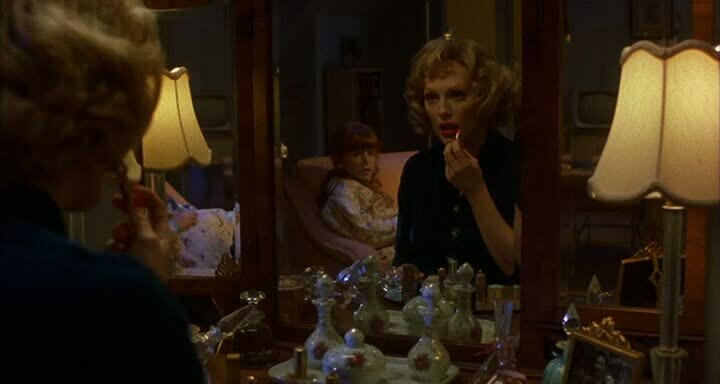 As Cathy, Julienne Moore, with this film signaled that she was a major American actress, and her many awards in 2002 underlined this. Too bad, after this film and The Hours, that her roles haven’t matched her abilities. As Cathy, her hair, dress, demeanor, and local accent are perfect. Her co-stars–Dennis Haysbert–Dennis Quaid and Patricia Clarkson (with a stellar turn as a nosy neighbor) each give unforgettable performances (fine acting again was a signature Sirk trademark) but Moore is dominant throughout with a deeply sympathetic portrayal that underscores her helplessness, while at the same time displaying the kind of force of nature that she is. 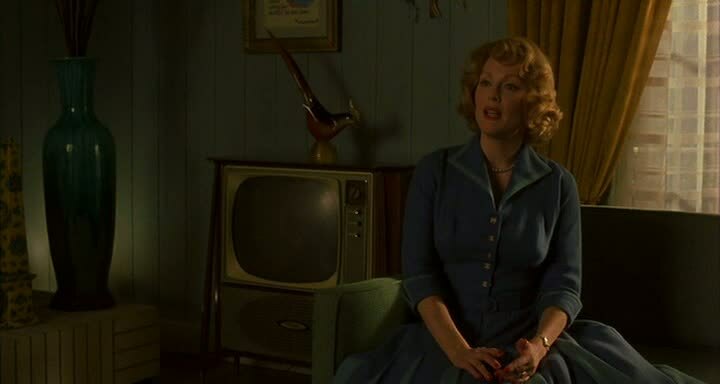 Back in 2002, Far From Heaven moved and impressed me to heights not yet since experienced in a movie theater. I wound up seeing it multiple times with my wife, close friends and colleagues to the tune of 21 viewings —three-quarters of this total in a local bargain art-house multiplex—yet my exceedingly positive feelings haven’t diminished. It’s a consummate blend of emotion and artistry, while standing as an insightful social document of it’s time. It’s unquestionably the best film of 2002 from any country, and for me it’s the best film of the new millennium. Sorry, Srikanth, but I erred when logging in. Whoa, sorry for missing out on your comment, Sam. I am well aware of your admiration for your movie (film of the decade, no less!) and your assessment does full justice to it. Great work, Sam!